Have you ever dreamed of traveling in New Zealand? Yes? Then you’ve struck gold by reading this! Before I share my story with you from New Zealand here is a highlights video showing what you can expect to see if you follow some of my tips! You also get to learn a little more about myself in this 4-part article series across New Zealand that I have written for you budding travelers and Azedo. I never thought I’d be off to New Zealand in winter. I’m an adventure and outdoor lifestyle photographer based in Europe. When the opportunity arose to travel and shoot images for tourism boards in New Zealand over the course of a month, I quickly said yes and started planning all the breathtaking places I wanted to visit. After a few weeks of endlessly looking at maps and journals on New Zealand I had an idea where I wanted to go. So there I was standing in Heathrow Airport, London and about to board my flight. I’m going to take you along on a trip across New Zealand, starting in the North Island and ending in the mountainous South Island in a 4-part story. The 4 articles, including this one on Auckland, will also give you plenty of insider knowledge for the country’s capital of Wellington, the famous alpine town of Franz Josef, and finally the adventure hub for the south island, Queenstown! If you want to learn about some hidden gems in this country, whether they be cafes, hikes and activities or the best spots to watch the Milky Way, then this is a read for you! It’s been 27 hours since I boarded my first flight. I’m on my third flight and soon will be arriving in Auckland and joining my friend Maisy for this 1-month journey. 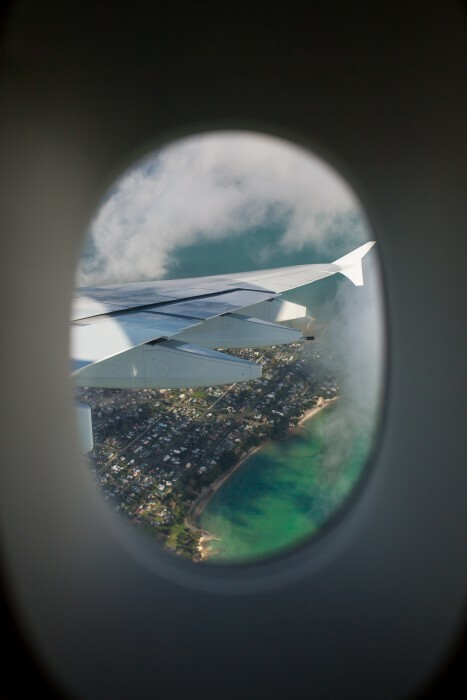 The first thing that struck me was how beautiful the landing was in Auckland. As you fly over the coastline, you are welcomed by a blend of diverse landscapes of clear waters and bays to rugged forest-covered cliff lines. I sensed my next month in this country would be one of my top trips so far. 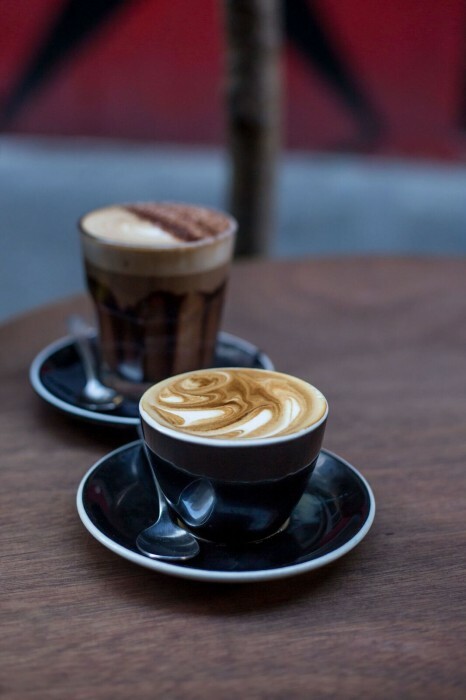 Use social media to follow some locals; if you want the best cafes or views it’s the best bet! Personally, Instagram is the app for me! It enables you to avoid tourist hot spots and find the places that locals like to go. Walk everywhere! You see things you wouldn’t normally see, especially if you would usually be in a taxi or on an Uber. Plus, you save a lot of money that can go to new experiences or, if you are a coffee lover like me, trying the best treats! Just get talking to people; you’ll discover new places and hear some great stories, as well as get some suggestions on places to go. Where To Stay In Auckland? You’ve got all of these in Auckland plus a bunch of independent ones, which personally I think are nicer, as they are smaller and will often have a more unique atmosphere. 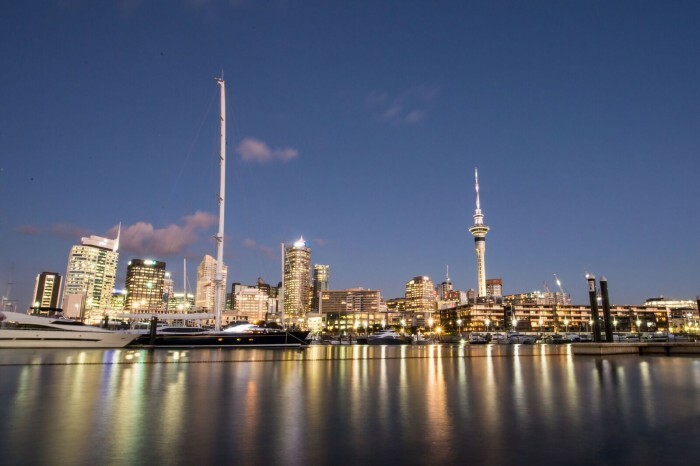 In Auckland there are some of the best city Airbnb’s I’ve ever seen advertised, with cityscape and seafront views, so potentially make the most of that and book yourself into one! They are pretty reasonably priced ones too, so why not?! I was in Auckland for 4 days and I stayed in an Airbnb just off the side of Upper Queens street. When looking for accommodation try and be a little out of the main center streets so at night it’s quieter. 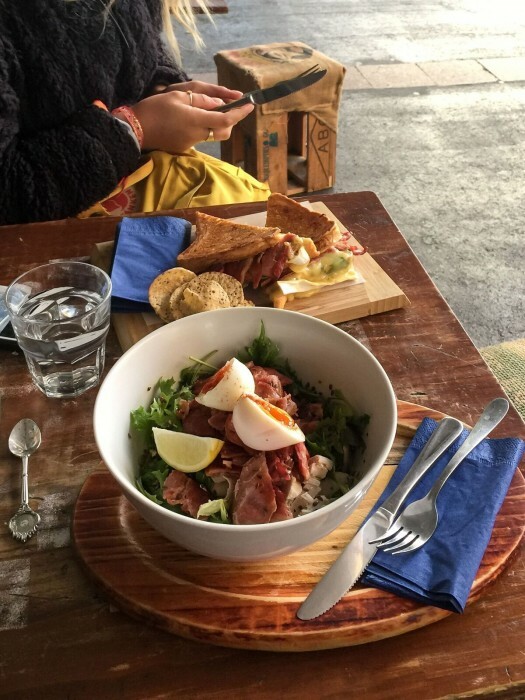 If any of you end up in Auckland, then Upper Queens street is the best of both worlds. It’s around a 10-minute walk into town, so nice and easy but also quiet at night! I walked in every day and it was well worth it! I’m going to let you in on a little secret about a cafe that isn’t well-shared on travel sites. I like that it’s not too promoted, which means it’s rustic and has character. Back home in the UK, these are the kinds of cafes I search for! I won’t tell you the address, but you’ve got the name, meaning those of you who really enjoy great food, coffee and people will go out of your way to find this little gem (or Google)! This cafe had the best staff, with a really friendly feel! If you are into healthy food, good coffee or have a sweet tooth, then this is a must! For the city, New Zealand and food it’s very well priced. My lunch came to $11 NZD. I went full out the chicken, bacon and egg salad along with a perfect flat white! Whether you are looking for food or drink I urge you to visit this cafe. That’s me, in the lumberjack shirt, stoked on life and enjoying some delicious food! The smile says it all! 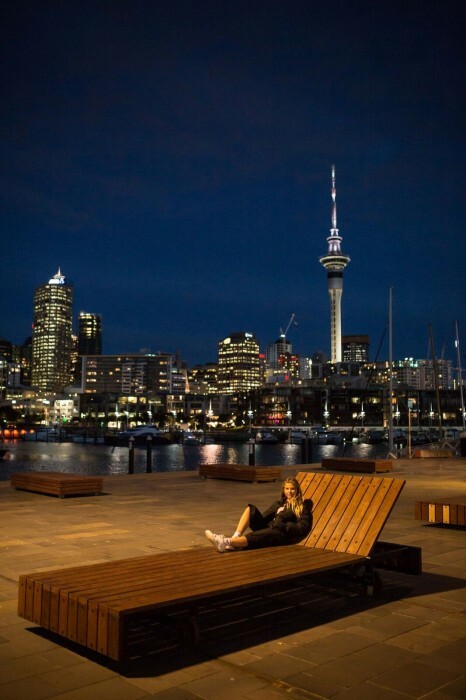 Take yourself for a wonder down to the North Wharf and Silo Park. There’s definitely something for everyone on the North Wharf, and whether you love craft beers, fresh seafood or international cuisine, this is the place to find it! The whole harbour area is full of unique shops and food spots. 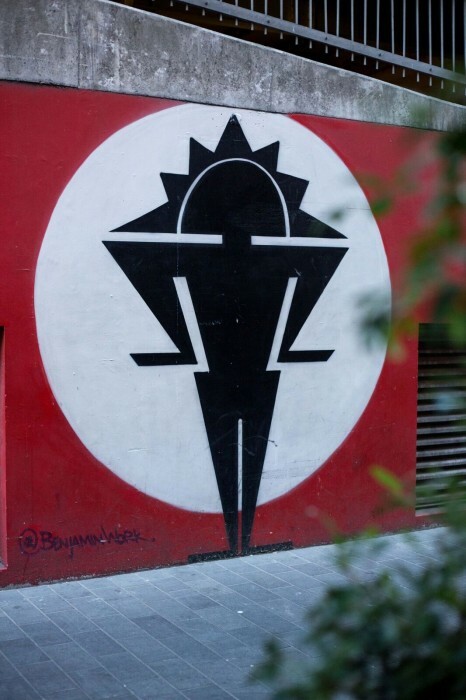 It’s got a hugely modern, urban feeling to this area with it being designed on a shared independent business space and has walls decorated with impressive street art. 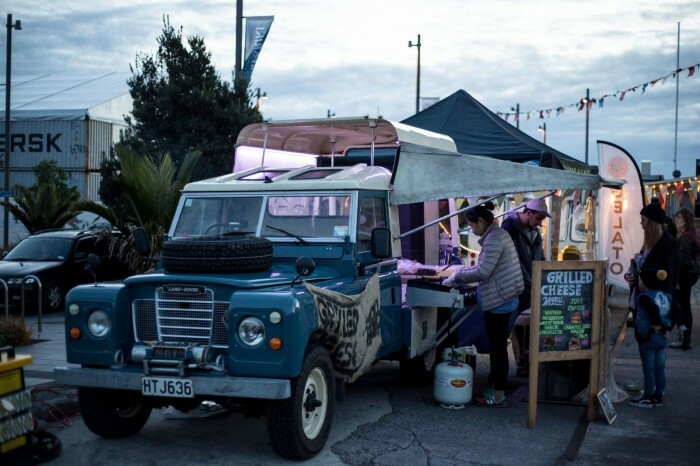 My favourite; the unique arrangement of food stands in Silo Park, being served from converted vans, Land Rovers and under canvas tents. The park has a buzzing atmosphere because of the passion the stall owners have for their freshly cooked food, and if you are lucky there might even be some live music! Even if you don’t get food, it’s a beautiful walk if you head down for sunset and you get a lovely view over the bay. Hidden down Fort Lane, it’s a shared space offering great coffee but also evening food! Blending beautiful interior design and modern street art. It’s a ideal food stop or if you work on the road like myself, just crack on with some work. Any cappuccino lovers out there? The cappuccino is to die for! This is no lie! I’m a flat white kind of guy but my friend loves a good cappuccino, so she ordered one and well when it arrived I felt like I had made the wrong choice. It was presented beautifully so I had to try a sip. The flavors were wonderful, and I feel like if you go to Imperial Lane, it has to be your go-to order! Remember that tip I gave you? 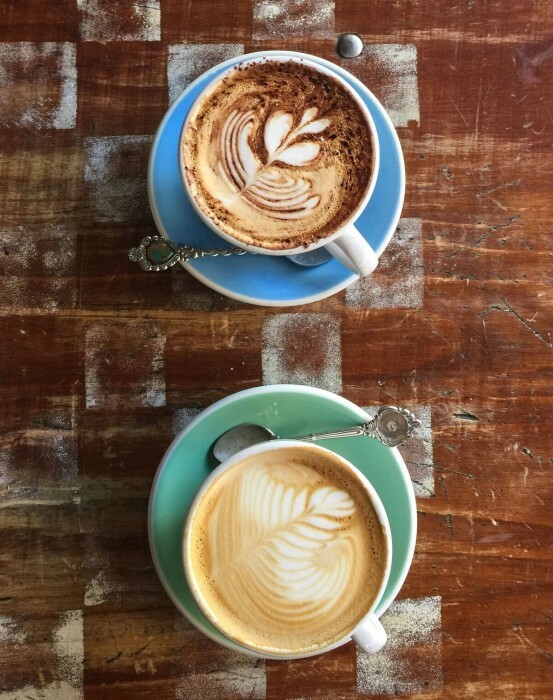 Use social media to follow some locals; if you want the best cafes or views it’s the best bet! Personally, Instagram is the app for me! I saw this spot popping up on Instagram feeds of Auckland whilst I was still in London, so I used Google maps to figure out where it was. Who wouldn’t want to watch the sunset there and see the city lights flicker on one by one? I feel the North Wharf is full of top locations, and this lookout is next to the Wynyard Crossing. But guess what’s even better? If you love to read outdoors, listen to music and see the world go by, the same little viewpoint has these huge rolling benches that overlook the views. Why not go take advantage of them? If you have been walking around the city all day, take a break, sit down, pop some headphones on and just enjoy the views and the fact that you are in New Zealand. Okay, but you prefer nature more than cities? Snap, you are like me then! 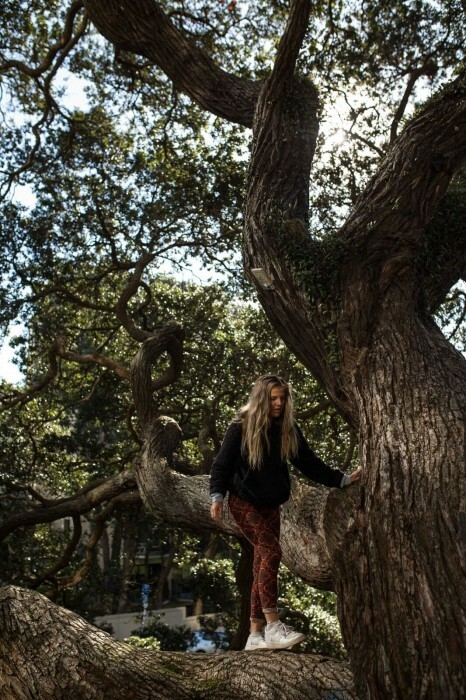 There are some great spots to find, from the parks to hidden little forests within the city. Emily Place Reserve is a breath of fresh air within a busy, modern city. The way the trees have taken their own path and grown into a magical forest makes you forget where you are until you step back onto the roads. Why not grab a takeaway meal or drink and sit in one of the tree’s branches or one of the many benches dotted around. It would be a great way to spend a sunny afternoon! Around Auckland there are a couple of islands that are well worth a visit, especially in summer! The North Island of New Zealand has plenty of vineyards that produce wine. Only a 40-minute ferry ride is the Waiheke Island, which was rated in the top 10 regions to visit by Lonely Planet’s travel guide in 2016 . The island is the ideal place to go on a guided tour of the wineries! However, if you aren’t into your wines, it’s still well worth the visit, as you have the white sand beaches of Oneroa and Onetangi, and the island has many outdoor activities that you can do if you want a break from the city, such as horseback riding, scenic helicopter flights or you can rent a scooter and explore the island yourself! Just go get lost and enjoy yourself in the stunning scenery! These two islands, which are joined, are a shorter ferry ride of only 25 minutes and have one of the best 360-degree views of the area. The walk to the summit follows a one-hour track through the rugged lava fields that formed the islands. This can be done on your own or on a guided tour so there’s no reason not to do it! If hiking isn’t what you are interested in then you can learn about the history and culture of the two islands by doing a guided interactive tour with the Ngau Tai tribal guides. Across the whole of New Zealand there is plenty of tribal culture and history linked into the landscapes that you can learn about. But most of it is situated in the North Island, so make the most of it! On a side note, if you make it to Rotorua, you should definitely take the time to learn about the Maori tribe, which, for those of you who didn’t know, are the original indigenous Polynesian people that inhabited New Zealand. Auckland is home to so many sights. When I travel I like to relax and just explore a few things uniquely rather than seeing too much! But for those of you that love packing in as much as you can into your travel days then there are some great spots that you should check out! Truly the best view over the Auckland region, looking down at the small city streets and the unobscured 360-degree views from the viewing platform at 328m high. I’ve been up the Sky Tree Tower in Tokyo, Japan and the views are truly spectacular, if you have the chance go! For those of you who are interested in learning more about New Zealand’s history, then the war memorial museum is a good place to visit, with plenty of interesting artifacts from New Zealand’s involvement in WWI to the first Polynesian settlers in New Zealand. The museum also highlights some of the country’s top natural heritage, such as the famous but now extinct Giant Goa bird that used to populate much of New Zealand. 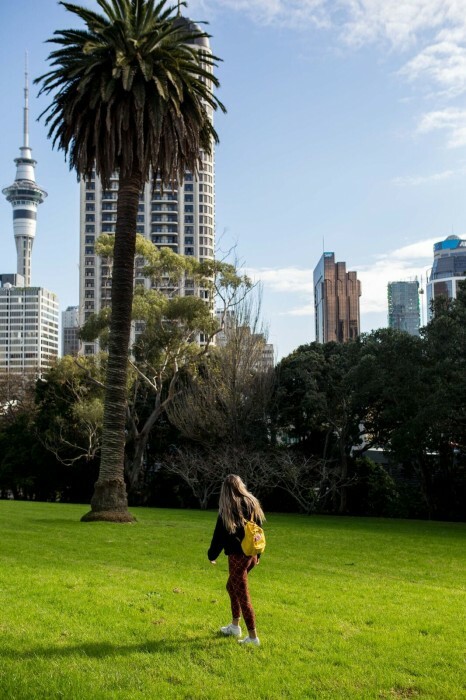 Head to the Cornwall Park, and you have a coned hill which is actually from a volcanic origin! You can’t miss it, as on top is a giant stone obelisk marking the burial of Sir John Logan Campbell. Let alone the history of this volcanic hill, the views from the top provide a fantastic view across the cityscape. How To Get Around New Zealand? 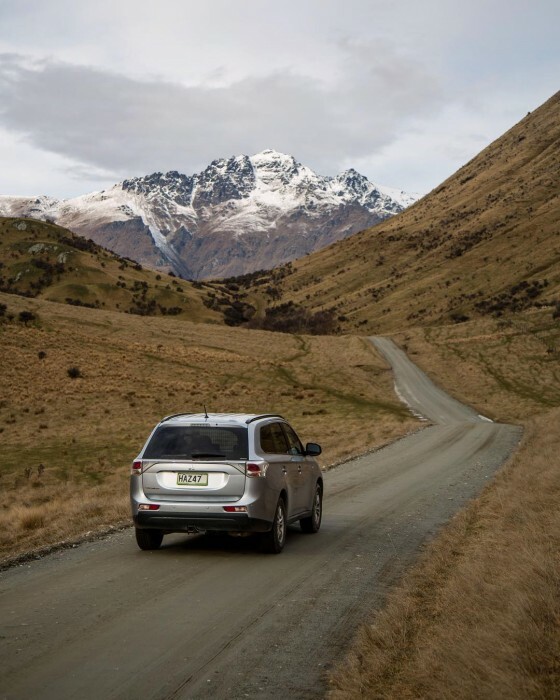 There are many ways to travel across New Zealand, including the intercity bus companies, trains or the option of renting a vehicle. I traveled with Kiwi Experience for the first 2 weeks and they offer bus tours around the whole country! They are pretty well-priced for the number of buses that they offer, but, I’ll be honest, if you are an adventurous traveler they probably aren’t your cup of tea, as most of it is organised in advance for you. So for you travelers that prefer a relaxed travel system then they are the company to go to! If you want to travel across both the North and South Islands of New Zealand the best bus pass to go for is the one called ‘The Whole Kit & Carboodle’ because it covers both islands. You can easily adjust your stops and how long you stay somewhere. For example: say you fall in love with the city of Wellington like me and you want to stay longer… well, then it’s just a quick phone call away and there aren’t any extra charges. Just ask to stay a few more days and they will tell you when the next bus is due to leave and you can move onto that one. However, you need to tell the office! If you just don’t get on your bus then you will be charged a $50 fine. No one likes hidden surprises so I’m just letting you know! I switched my buses multiple times to get more days in a location and it was so simple! For the last 2 weeks of my trip across New Zealand in the South Island I had a rental of 4×4. I felt for the South Island it would be more practical and it really was! If you have the budget while travelling I’d really suggest doing this! It made getting to mountain ranges, lakes and all the locations I wanted to visit super easy because I could avoid traffic, get there for sunrise if I wanted to and not be constrained to bus times! What Is It like To Drive In New Zealand? Really easy and pretty simple! They drive on the left and in use kmph! The main roads are great but if you go into some of the national parks and start driving further in, you may find they turn to gravel tracks, which is why I choose the 4×4. The real thing to watch out for is black ice; in the South Island due to the climate the roads can be more prone to it, and if it’s at freezing temperature the best is simply to drive slower and sensibly. That being said, I didn’t run into any issues with the black ice, so this shouldn’t put you off exploring the beautiful country! 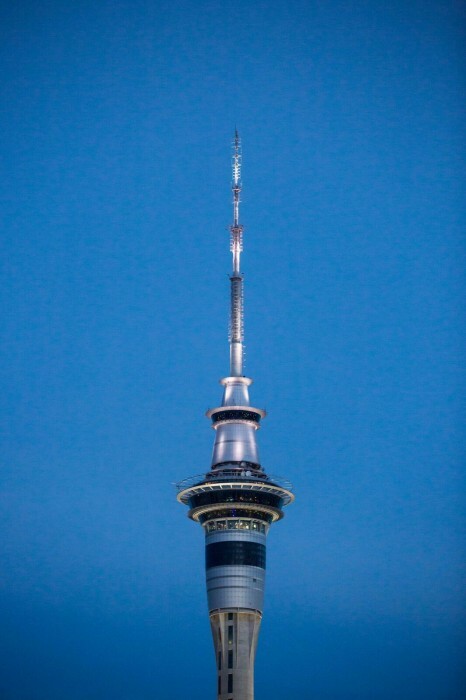 It’s the end of my time in Auckland, and it’s been a blast! 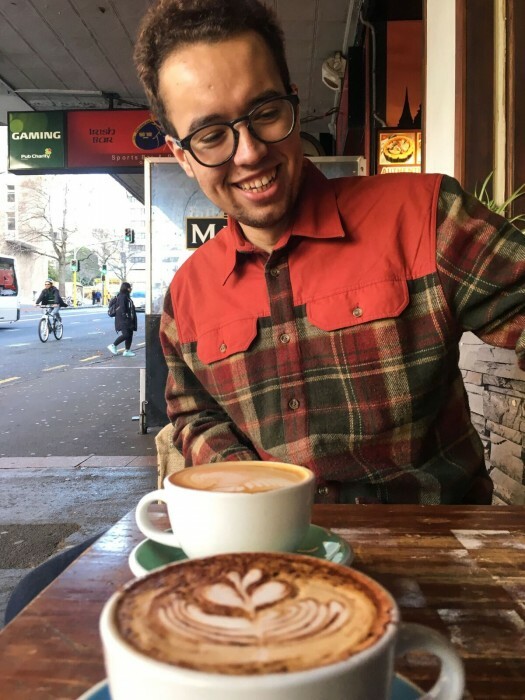 I spent my time wandering through the modern city, exploring the cafes and just relaxing before the start of my long journey across New Zealand. In the next article I’ll take you around the capital of New Zealand, Wellington. I’ll also take you on a hiking adventure in the Egmont National Park! So for you outdoor lovers and city goers its definitely going to be well worth a read if New Zealand is on your radar! I'm a half French, half British, 19 year old adventure, travel and lifestyle photographer. I'm either on the road living out of my trusty campervan in Europe or travelling further a field on assignments shooting personal images and also on projects for tourism boards and companies. My aim is to bring back stories of adventure and inspire people to get out and explore!